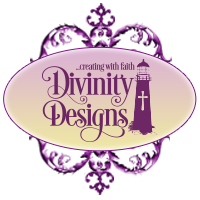 Divinity Designs, LLC Blog: Shop our Biggest Sale of the Year! Stock up on all your favorite ODBD/NCC/AO stamp sets, ODBD/NCC/ AO Custom Dies and Paper Pad Collections during our biggest sale of the year! To shop this sale, simply click here to shop our website, add your products to the shopping cart, then enter 25OFF into the discount codes area to save 25% off your order!!! **Please note: sale prices are for all in stock products and excludes Bundles, Gift Cards and Clearance. No additional coupon codes can be used along with the this sale. 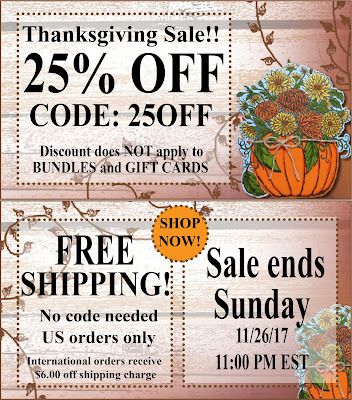 This sale ends Sunday, November 26, 2017 at 11:00 pm EST. If that is not fantastic enough for you, we are also offering FREE SHIPPING for USA Customers, International Customers will receive $6.00 off your shipping charge! Thank You for the Wonderful deals. Hope you and your staff have a Happy Thanksgiving with your families.